When is it time to visit Physical Therapy? - Bond Clinic, P.A. Bond Clinic, P.A. Do you have an injury or medical condition that requires physical therapy? At Bond Clinic, we have a full service Physical Therapy department on site at our East Campus. 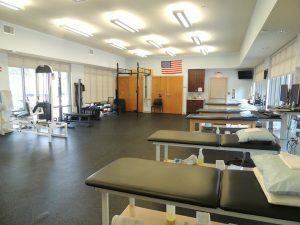 Our rehab team includes: a doctorate in physical therapy, licensed physical therapists, licensed physical therapy assistants, athletic trainers, and certified personal trainer/technicians.